I am very picky with the bags I use! No, it doesn't have to be branded but it has to be made with good quality! I can easily say "NO" to a branded bag 70% off if the materials used aren't worth the price or the way it was stitched was messed up. Last but not the least, it has to fit everything that I need to bring, friends who knew me personally know I take with me loads of stuff! After harassing my Longchamp Planetes bag for years, I finally put it to rest and used my newest baby for a Christmas Shopping Trip! I originally like the color Firetruck (Bright red) but decided to pick Desert (light mustard yellow) shade as the color would work well on most outfit and I can easily take this with me on formal and casual affairs! I made the right decision as the bag goes well with my skintone too! A structured box bag with adjustable handles and a matching removable long strap. Includes open pockets and an interior zipper with a featured flap closure. Can fit a small water bottle and a foldable umbrella, a tablet or your netbook, various reading materials and your coveted diary. Or you could just have a few things and your Chihuahua. Fully-lined, medium-weight. Made with good quality leather. Can be used as an arm bag, shoulder bag or body bag! Can store a lot of stuff! Both hand and shoulder straps are adjustable. Online shopping! Not all bag-shoppers are comfortable with this idea. Sturdy, works for all occasions, trendy and definitely worth the price! For people who likes to use this for travel, go for Industria Gran. Wipe your bag with clean damp cloth to remove dust and dirt after every use. Fill your bag with bubble wrap to keep the shape of the bag during storage. Put your bag inside dust bag after every use. Do not hang your bag as it may stretch the handles. If you plan to store your bags inside a cabinet, make sure the area is not moist or under direct sunlight. Yes and I'm waiting for more designs from the brand! Women on the go who wants to store their stuff inside a sturdy bag . Very spacious inside and I love the extra pockets! Since there are times I don't want to carry a "super structured" bag, I can easily tuck both flaps inside and create a more casual shape! The Guedez Industria Bag can fit my iPad and netbook! I can seriously fit CharChar (my Pomeranian dog) inside! Here's how I would normally carry my stuff using my new found favorite bag! Since it was just a short, Christmas shopping day for me, I've decided to use this as a body bag and I can easily maneuver the bag on the side or front of me which made me feel more secure of my belongings. What's your newest bag to date? So far, the Guedez Industria Bag is the newest in my small bag collection! This is also a perfect Christmas/New Years gift to our loved ones who are into leather bags! ganda nia kaya lang ang haba. This bag looks really useful and also it suits your style! This is an awesome, awesome post! 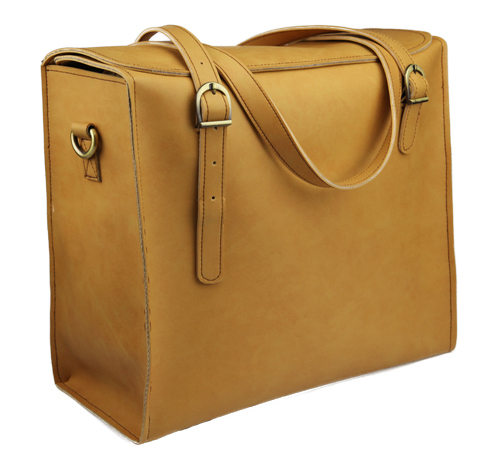 For years, I have been looking for real leather bags that are reasonably priced and locally made. This is such a find! Looking forward more designs, but this one is so nice. quite a nice color, easy to go with anything too :D i love body/sling bags as i always prefer my hands to be free esp during weekends/shopping. The bags pretty but I can't help noticing how I love ur whole body shot so pretty and glowing and all :) love it pretty mommy! awww thank you so much Jessica! :) it was an awkward shot but I'm happy you still like it! Whoa! So big! So long too. But it looks very handy. I have not bought a new bag in months! It looks nice on you!